In 1987, Charlie Whitfield's breakthrough concept of the child within--that part of us which is truly alive, energetic, creative and fulfilled--launched the inner child movement. Healing the Child Within describes how the inner child is lost to trauma and loss, and how by recovering it, we can heal the fear, confusion and unhappiness of adult life. 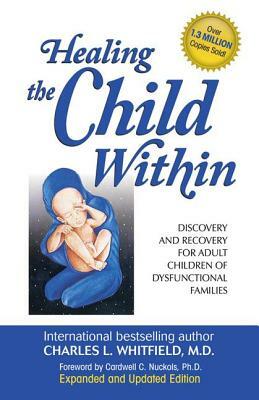 Description: Whitfield,Charles L. Healing The Child Within:Discovery And Recovery For Adult Children Of Dysfunctional Families Has edge and cover wear from use and the shelf. All Orders Shipped With Tracking And Delivery Confirmation Numbers.